You are invited to attend “Artificial Intelligence in Manufacturing” event. This is a training for leaders, managers, board members and business leads of digital transformation within their organizations, who are aware that artificial intelligence is already required to retain competitive advantage in domestic and international markets. Date and time: 26 November 2018 from 12:00 to 4:00 p.m. This information will help you make decisions when planning deployments of new technology in your company. Gregor Molan, head of Comtrade Digital Services research team and software engineer, has been involved in active research work since 1994. He got university diploma in mathematics in 1995. He has formally started to work as software engineer at Hermes SoftLab in 1996. In 1999 he achieved master degree in computer science. Majority of his research and development work after achievement master degree has been the development of different models describing software quality assurance, social science and technology and phenomena in medicine. With modeling of phenomena in nature and human science he has achieved proficiency and knowledge in development of algorithms the most adequate to the nature of problems. He has integrated graph theory, artificial intelligence and data base management in the unique model useful in the occupational health care system. For European projects, he lead the partner’s side of preparation for the ACTIVE project – Enabling the Knowledge Powered Enterprise for WP5 – Knowledge Workspace. 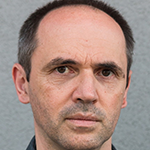 The most important current research activities are (1) Research program: Comtrade – CERN and (2) The European research network on types for programming and verification (EUTYPES); he is management committee member of this COST Action (CA15123). His future activities are focused in research work on the field of neural network and deep learning preferably with connection with CERN projects. For this purpose he established Comtrade connection to European Network Grid infrastructure. What will you learn at the event? This training is a short summary of artificial intelligence deployments in manufacturing and consists of 5 parts: (1) Brief introduction to AI; (2) Why are we discussing AI; (3) How to approach AI; (4) How to implement AI; and (5) Best practices in AI. Visit the event website for more information about the event and to register.